Before you snack on that “Low Fat” “All Natural” yogurt, reach for the whole grain bread or a bottle of Vitamin Water, you might want to do a little label reading. Many foods labeled as fat-free, cholesterol-free or all-natural that we think are healthy are no better, and in some cases even worse than typical processed foods. How many of us would think to check the label on our breakfast cereal? Some cereals for example, contain an endless list of artificial ingredients and words you can’t even pronounce, and as much as 18 grams of sugar per serving!! Equally surprising is how much fat, sugar, and sodium may be lurking in your turkey meal. Some ground turkey can have a higher percentage of fat than extra-lean ground beef, while many raw turkey breasts are injected with “flavor enhancers,” which loads them with sugar and salt! Packaged cereals. Check for excess sugar and sodium, and a lack of fiber. Multigrain or seven-grain products. Unless the label says “100% wholegrain,” and listed first or second you’re not getting full benefits. Deli foods. Even “fresh” turkey or chicken breast can be loaded with sodium, while salads are frequently made with high-fat mayonnaise and other unhealthy oils. High-energy bars and drinks. In many instances, the “high energy” claims come from the high level of calories — most from sugar and fat. Low-fat or no-fat dairy products that replace fat with fillers. Fillers can jack up carbohydrate loads and increase sugar content, which can promote weight gain and uncontrolled blood sugar metabolism . Granola bars or cereal. Many contain saturated fats (from ingredients like coconut), sodium as a preservative, and lots of sugar. Trail mix. Containing things like chocolate chips and sugared fruit, most types weigh in at whopping 190 calories for a couple of ounces, and won’t keep you full for very long. “Trans fat-free” cookies, crackers, snack chips, and baked goods. 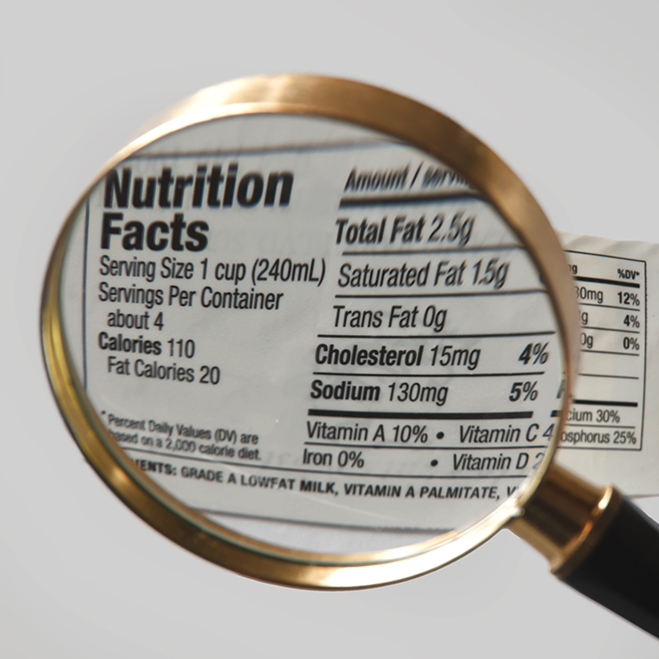 Check portion sizes and look for hydrogenated oils on the ingredient panel. Call 727-735-4473 to Scheduled Your Individual Nutrition Consultation & Get $20 OFF! Thx and have a great day ! I will be happy to call you. Please provide your phone number.